The Workplace Futures Report, commissioned by MoreySmith and in partnership with The Future Laboratory, delves into the way our culture is shifting and what that will mean for our future workspaces. 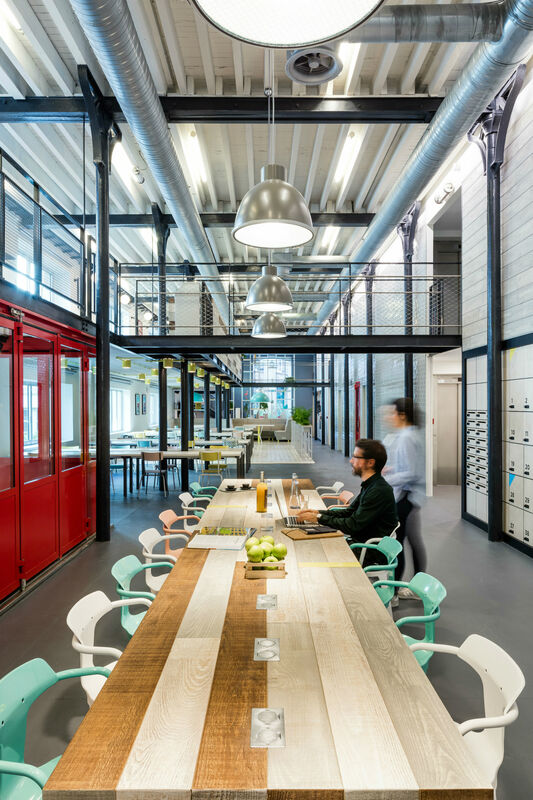 One of Europe’s leading design and architecture practices, MoreySmith, has recently unveiled a new Workplace Futures Report. Working in partnership with The Future Laboratory, the London-based design firm commissioned the report in order to better understand the psychology of workforces that will exist in the future, and also to prove the importance of workplace design to potential employers. 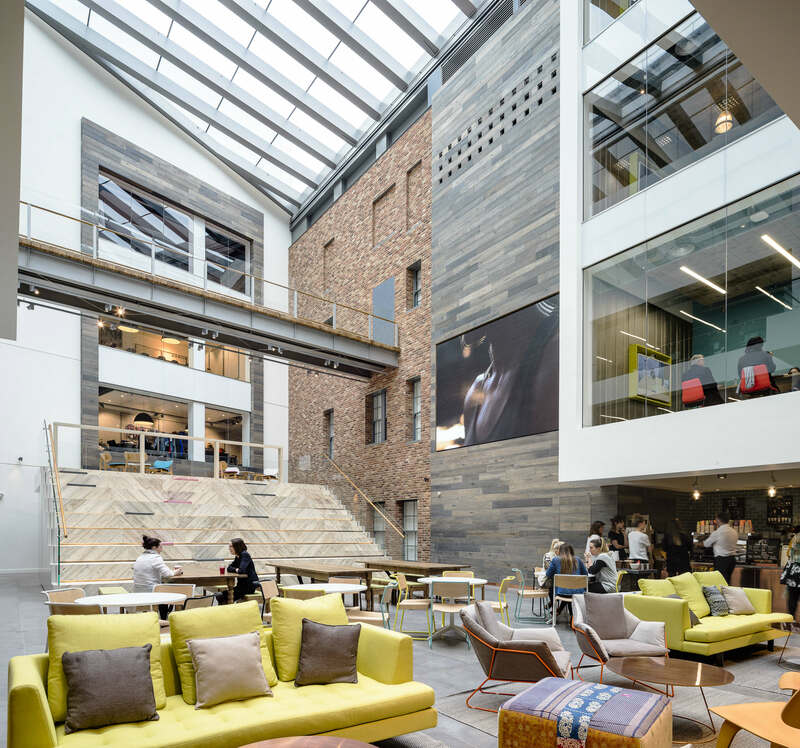 As one of the industry’s leading workplace designers, MoreySmith have previously designed offices for the likes of British Land, Möet Hennessey UK, Sony, Coca-Cola and Primark. It makes them well placed to commission such a forward thinking study, which examines the shift in demographics and psychology of the workforce in the year 2025. “In the past 50 years the focus has been on building workspaces that create machine-like efficiency among workers in open-plan environments designed to keep pace with technological advances,” the Report begins in its overview, “But in the century ahead, designers and architects will advance towards innovative Open Work spaces”. The Report also begins by breaking down the reasons for changing workspaces, calling them the ‘forces of change’; the research explores the social, cultural and technological shifts that are currently taking place, and uses them to discover how this will shape the future. “Today’s progressive workers,” the Report reads, “increasingly in pursuit of physical and mental wellbeing, are choosing working environments that not only support them, but offset the demands of their always-on lifestyles”. MoreySmith and The Future Laboratory see these cultural shifts happening in three major ways. The first, called ‘the Optimised Self’, explores the ways that workers are beginning to expect their workplace to offer them support with their wellbeing. As a result, this change in culture is creating the second phenomenon, ‘the Flat Age Economy’, that sees workers remaining “youthful in body and mind” and working until their 70s. With the average individual potentially working for 50 years of their life, the Report sees a ‘Five Generation (5G)’ workforce emerging, where people in their 70s will be working alongside those in their 20s. Therefore, the Report expects that offices will change to support the different age groups and their working needs. The last social change affecting our workplaces is ‘the Focus Filter’; “workplaces,” the Report states, “increasingly need to be the solution to one of the curses of modern life: the epidemic of digital distraction”. With these shifts in mind, the Workplace Futures Report predicts that ‘Open Work’ spaces of 2025 will be multigenerational and interactive, and the report has broken down these future workplaces into three archetypes: the Sentient Workplace; Hospitality Workspace; and Flat Age Workspaces. If these three spaces are “positively amalgamated”, the Report suggests, then that is when we will see “successful, future-facing” workspaces. ‘The Sentient Workplace’ reflects the way that the boundaries between work and social life are becoming increasingly blurred. Individuals are now pursuing working environments where their need for physical and mental wellbeing is met – by the late 2020s, offices “will be designed and built to incorporate thousands of sensors that interact with workers’ wearable devices and smartphones”, the Report predicts. Buildings will prepare for workers arrival by having “their workspace in line with their lighting, humidity and temperature preferences, and the resources and data they need for maximum productivity will be on screen, at their desk, awaiting their arrival”. Following this, the Report also sees future generations no longer being tied to financial burdens; instead, they will value adaptability. As a result, ‘Hospitality Workspace’ will become the go-to destination for a multi-generational workforce. These workspaces will combine work, play and rest all under one roof; “an Open Work space that is part hotel, part sports club and part restaurant”. 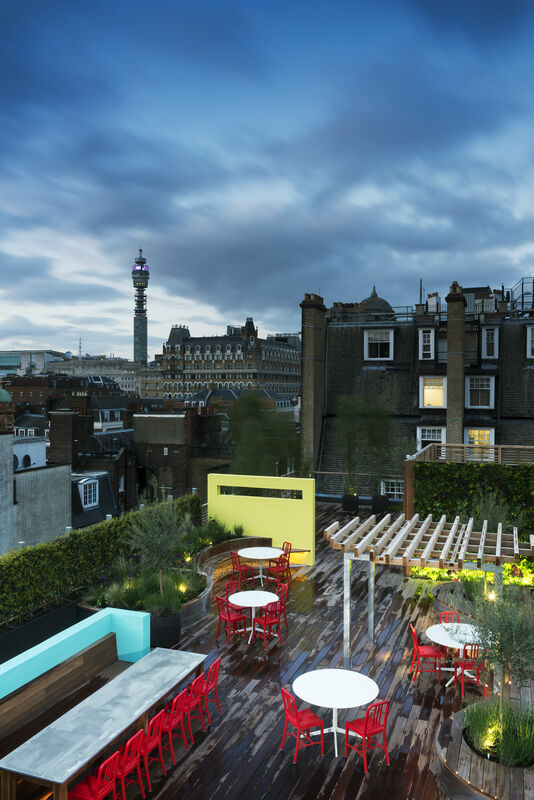 ‘Hospitality Workspace’, the Report suggests, “will signify the moment when businesses large and small open to the public and embrace the sharing economy”. 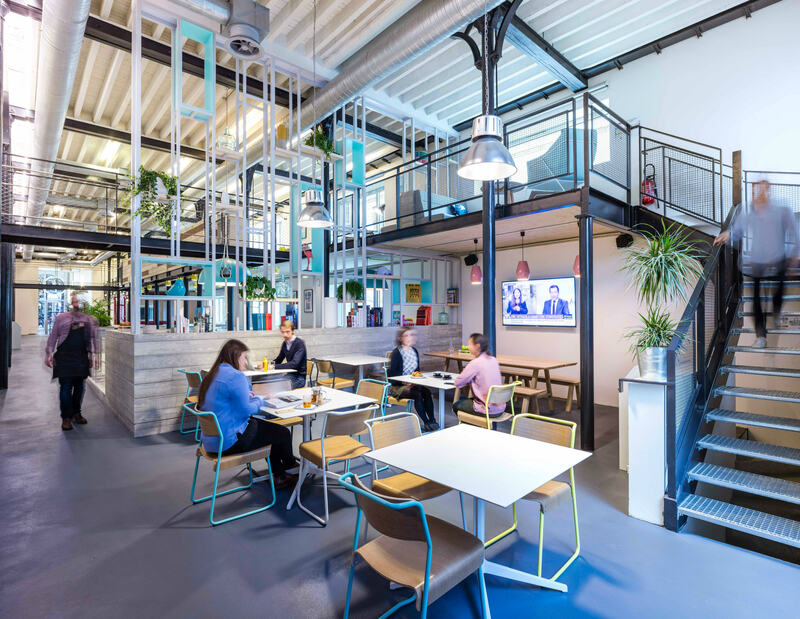 The final archetype defined by the Workplace Futures Report is ‘Flat Age Workspaces’, which are workspaces that will develop in response to drastically shifting demographics within the workforce. 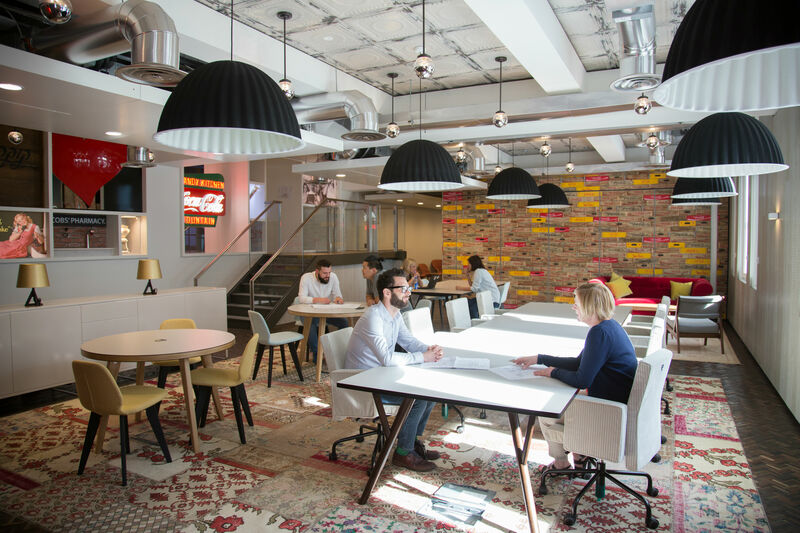 With the ‘Five Generation’ workforce – ranging from the digitally native Generation I to the last of the Baby Boomers - becoming more commonplace, workspaces will have to adapt to fulfil each generations’ needs. “Workers of different ages and experience will join forces for complex problem-solving, learning from each other as they work,” the Report explains. “Flat Age Workspaces should also offer escape spaces such as… Mentoring Pods, be mindful of sensory stimuli, and provide transition zones between working areas to enable workers to recalibrate their senses”. At its conclusion, the Workplace Futures Report implies that in order to keep up with the distinct cultural shifts that are currently taking place, workspaces are going to have to change – and employers will need to invest in design studios and architects to build spaces that reflect the changing needs of the workforce. “The power of good design should not be underestimated in the workplace. It is no longer something nice to have but a necessity for any organisation that is looking to attract and retain the best talent,” says MoreySmith’s founder, Linda Morey-Burrows. If the workplaces of the future align themselves with the findings of the Workplace Futures Report, one thing is for certain: it’s a future worth looking forward to. To read the full Workplace Futures Report, click here.